Thank you GoDaddy for sponsoring this post. While this was a sponsored opportunity from GoDaddy, all content and opinions expressed here are my own. My regular readers know that I've been an entrepreneur for most of my adult life. When I was fresh out of college, I started my eco-fashion clothing line, Mountains of the Moon, that I ran for many years before eventually closing it in late 2014 so I could focus more fully on this blog - which had become a business of its own. And although I've learned that there are many facets of running your own business that ultimately determines your success, one of the most important is a well established online presence. This means a well rounded combination of engaging social media channels, excellent branding and design, and a really great website. Whether you have a brick and mortar company, an ecommerce brand, a service you provide, or a blog (even if it's not a for-profit blog! ), having the right tools to create a well executed website is imperative to attracting and keeping customers (and/or blog readers), and to manage the business itself. I've had a lot of trial and error experiences in terms of creating my own websites over the years. 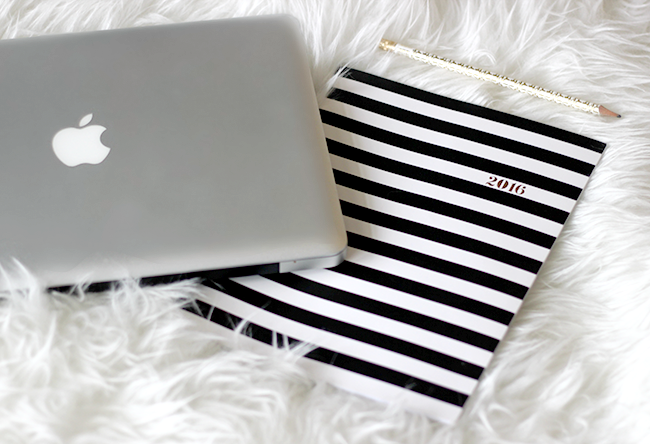 I've done the majority of the site designing myself (aside from coding help that I've contracted), from my clothing business to my blogs to more personal sites (like the site I created for my husband's and my wedding several years ago), and this has enabled me to learn a lot along the way about what works and what doesn't. 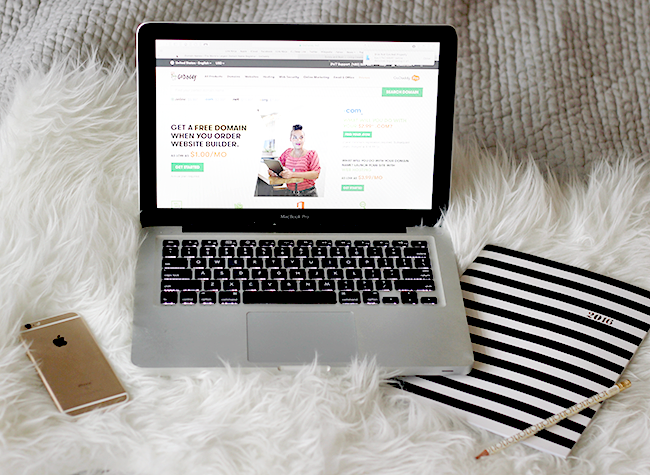 There is a lot involved, but one of the biggest pieces of advice I can give to other business owners and bloggers is to utilize a company that offers multiple services to help build your online presence, like GoDaddy, and that's what I'm focusing on in today's post. GoDaddy is awesome in all sorts of ways, but one of the things about them I like best is the fact that they provide an array of products - from domain services (they're the world’s largest domain registrar) to web hosting to website building to professional email to online marketing, and more. They offer just about everything you need to build your business (or just give it a boost), by giving people like us (creatives, entrepreneurs, bloggers, etc.) an easy, affordable way to get our ideas online. They also have award-winning 24/7 support, which I think is crucial when you're working on creating or growing your online business or blog. Being able to log into your account and have all of this available to you in one space is a massive time saver, and the perfect way to allow your website to be streamlined. 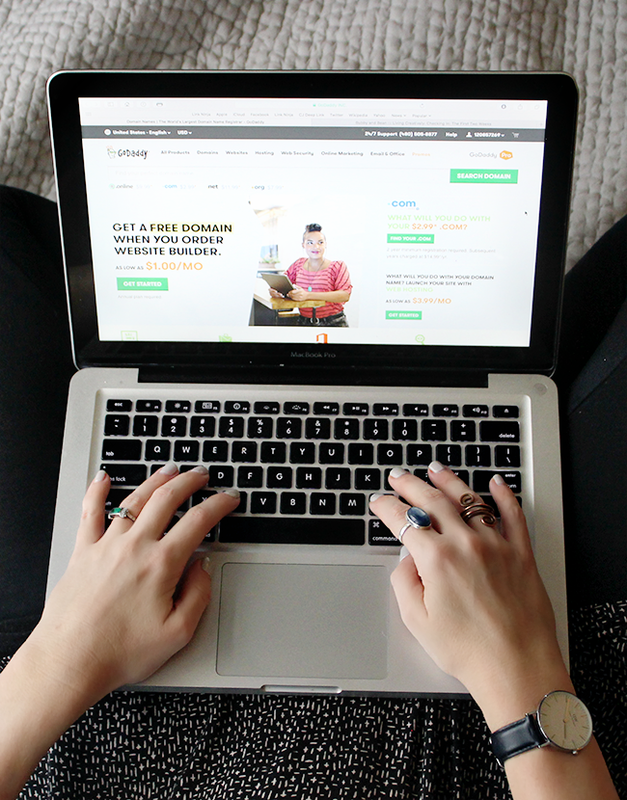 If you're interested in giving GoDaddy a try, they offer a free Website Builder trial, so you can see for yourself how easily you can build a really great site of your own. I've also discovered some fantastic offers they have going on right now, like .com for just $.99, and additional .COMs just $9.99 per year with code cjc99com, and 30% off new products. with code cjc2off30. Woot! I'm constantly reassessing and planning for my blog, especially in the first couple months of the year, and one of the biggest parts of this is analyzing what works and what needs to be updated or changed. So I'm thankful for services like GoDaddy that offer so much in one place. I'm also constantly thinking of ideas for new businesses, and it's nice to know I have a place to turn when it's time to take them live. For those of you have your own websites, I'd love to hear the tips and tricks you've learned along the way as well! And stay tuned for more posts on other aspects of building your website and online presence in the near future. This is great advice, I've been thinking about starting a biz to sell my jewelry aside from etsy. Thanks for the .com coupon, totally using it! This is great info/advice, thanks!